The graphics could be even more blocky you know. This is a screenshot from an even older build. 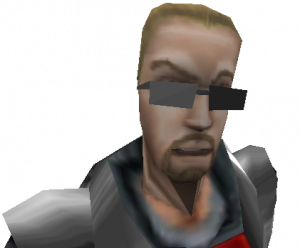 Well, it's not just a re-release of Duke 3D, It's also got Duke Nukem Forever along with it's betas and maybe the Duke 3D betas as well. So that's something to look forward to. Surely people cant be that ignorant.